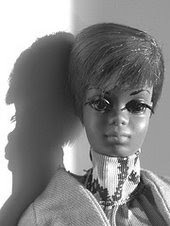 When Mattel introduced Barbie in 1959, I was 10 and too old for dolls. But in 1995, at the ripe young age of 46, I went to an auction that included a No. 3 Barbie and a case full of clothes. The outfits were such beautiful, miniature copies of 1960s couture fashion that I was instantly hooked. I started collecting vintage Barbies, a hobby I still pursue. Contrary to widespread belief, the date on the doll refers only to the year Mattel copyrighted the body style, not the year the doll was actually made. Early Barbies, like the ponytails, bubblecuts, American Girls and Twist N Turns, are marked 1958 and have "Japan" on the rear end or on the bottom of one foot. Most newer dolls, which have little or no value to collectors, are dated 1966 and are made in other countries. No. 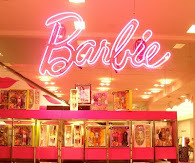 1 Barbies are extremely rare because they were sold for just one year. They are the only dolls whose feet have metal tubes in them that fit onto a pronged stand. Most other Barbies have holes in the feet, but there is no tube. 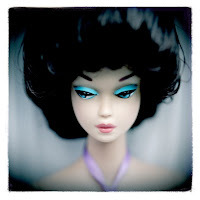 Condition, condition, condition is everything to collectors of vintage Barbies. Among other things, they shy away from dolls with neck splits, hair that has been cut or is missing plugs, lips whose color has faded or rubbed away, and ears and faces that have turned green because of a chemical reaction between the plastic and metal earrings. The body should have all toes and fingers (pinkies are often broken off because they got snagged on clothing) and have an even color, with no stains, marks, scratches or gouges. The outfits for early Barbies have embroidered black-and-white tags sewn into the lining. However, the real value of most vintage outfits comes from the tiny accessories. A vintage dress alone might be worth only a few dollars; with all of the accessories, an outfit's value could jump many times. 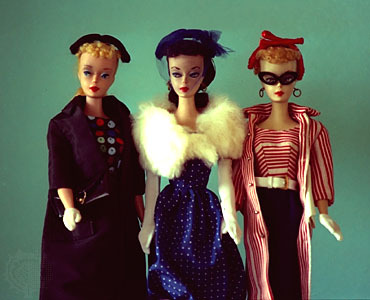 Dolls and outfits that have never been removed from their original boxes are generally the most expensive and sought-after vintage Barbie items. A good way to gauge current market prices for vintage Barbies, clothes and accessories is by checking completed sales on eBay, where many collectors turn for the best items. Be wary of antique malls. For every great find, there's a doll with green ears and an outrageous price tag.